Thanks to cell phones, tablets, and other wireless devices, people all over the world are more connected than ever. In fact, 90% of American adults own a cell phone, and a reported 88% of small and medium companies use cell phones for business purposes. However, only a fraction of commercial buildings have the technology in place to offer reliable cellular coverage. 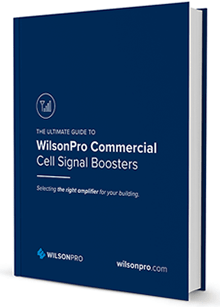 How do business owners and building managers keep up with the demand for reliable cell reception? The answer is commercial cell signal boosters.